Following our article “High blood pressure - the silent killer” we received a number of e-mails asking for more information about blood pressure monitors. As a result, we caught up with those nice people at A&D Instruments to find out more about blood pressure monitors. 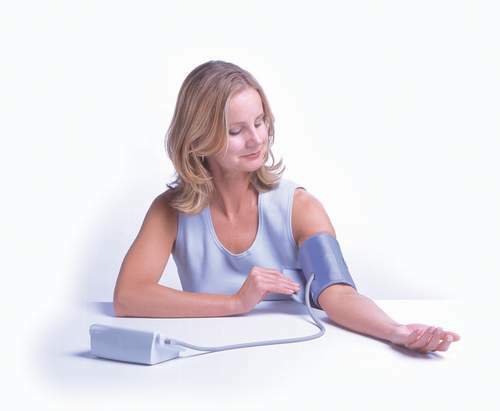 FE: What different types of Blood Pressure monitors are there on the market? A&D: At A&D, we have a professional range and a personal range. The professional range is used by the medical profession whereas the personal range is for home use. Our personal range include Wrist monitors as well as the more traditional Upper Arm monitor. FE: Are Wrist monitors as accurate as Upper Arm monitors? A&D: A&D Wrist monitors use similar oscillometric technology to the Upper Arm models but the physiology of the human wrist will limit 5-10% of users from achieving accurate results. Just as significant is the position of the cuff, which must be at heart level. Clinical professionals prefer upper arm readings and may consider wrist monitors a useful guide, so if the results are to be discussed with a doctor go for Upper Arm monitor. FE: How accurate are A&D BP Monitors? A&D: They are accurate to +/- 2% or 3mmHg, whichever is greater – if used correctly. FE: Are all BP Monitors in the UK this accurate? A&D: All monitors sold in the UK should meet these minimum CE standards but monitors are checked on static bench tests – not on patients. FE: So how can I be sure that I am buying an accurate BP Monitor? 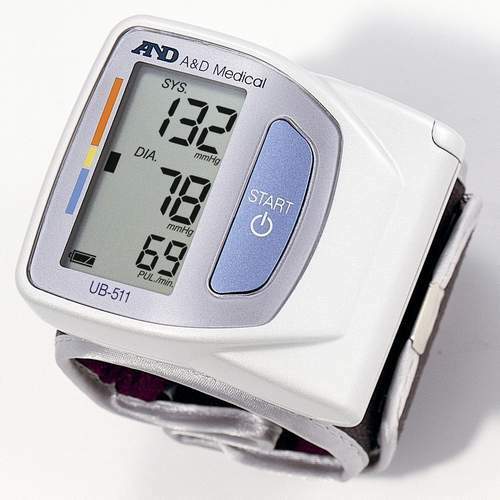 A&D: Ensure that you buy validated BP Monitors from a reputable dealer. This guarantees accurate pressure setting plus reliable calculation algorithm. FE: What does validated mean? FE: What does A/A (or double A) grade validation mean? A&D: Any BP monitor achieving A/A (or double A) grade, according to BHS protocol, has achieved the highest acceptable grade (to within 5mmHg). Grade B is still acceptable (+/-10mmHg) but Grade C or below is not suitable (>+/-15mmHg). The first A represents accuracy of Systolic reading and the second A is for Diastolic. FE: How long does the guarantee last? FE: How often do the monitors need recalibrating? A&D: In professional use we would recommend every year but in a domestic environment once every two years should be adequate. FE: Can customers use rechargeable batteries? A&D: The monitors are supplied with long life alkaline batteries that should give up to 500 inflations/readings but you can use rechargeable batteries although they will not last as long. FE: What is the most common cause of inaccurate readings? A&D: Users forget that these easy-to-use monitors are diagnostic products and they usually do not sit still and quiet while they are taking a reading. Remember that readings will normally be lower at home than in a doctor’s surgery. FE: Thanks very much for your time. This will help our readers to understand a bit more about blood pressure meters. 30 years ago the marathon was the most testing and extreme of sports, now it’s the Ironman Challenge. In 1978, there were only 15 challengers; in 2007 there will be 1700. The marathon covers 26.2 miles whereas the Ironman Challenge covers 140 miles! It comprises a 2.4 mile swim; 112 mile bicycle race; and to finish a 26.2 mile marathon! It can take up to 17 hours to complete.